A 235-metre long bridge that joins Soisalo, the largest island in Finland, and the parish village of Leppävirta was completed in August 1965. 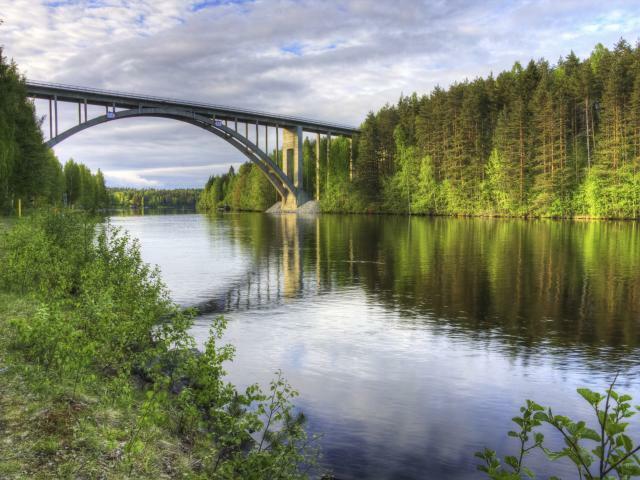 At the time, it was the highest arched bridge in Finland with a staggering 26-metre unobstructed overhead clearance at Saimaa deep-water channel. Leppävirta bridge is designed by professor Herman Hannelius (1885-1970).